Hey Tek-ninjas! 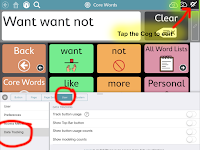 Today I want to tell you about a really terrific resource that can be a huge asset regardless of whether you are an educator, speech language pathologist, behavior specialist, or parent. 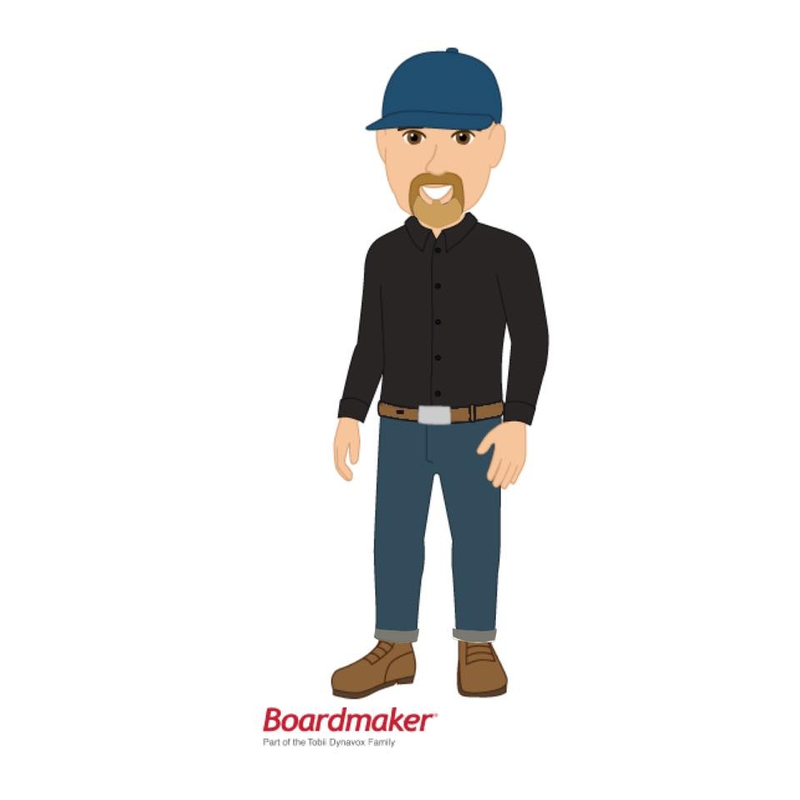 Boardmaker To Go is a free online platform which offers printable activities for students in K-12. Level A - Use these activities with your youngest students or most beginning learners. Level B - Use these activities with your middle grade students or students ready to engage more deeply. Level C - Use these activities with your high school students or students with some independent skills. These robust tools can really propel the efficacy of your teaching, across all environments. Couple of things... First, I'm really excited to share with you a quick video showing you how to make a Visual Timer in Snap + Core First on the fly. This is a really powerful behavior support that can be utilized in many different settings. Take a look. 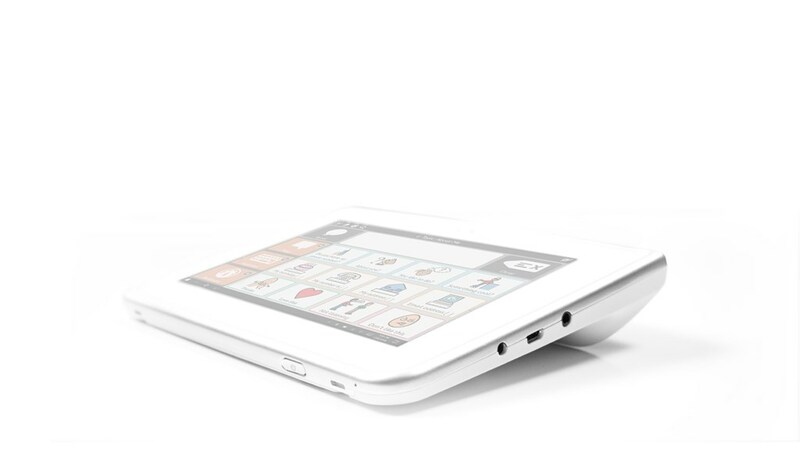 Next, I want to share with you that Tobii Dynavox is no longer selling Snap + Core First for the original price of $179. Nope. Moving forward, it will retail for $49. That is truly remarkable, and at that price, you no longer need to keep plugging away with the old sub-standard AAC app on your iPad or Windows computer. So, there you go. Hey Tek-Ninjas! This is a quick one. Do you use Instagram? If not, there is good AAC reasons to start. 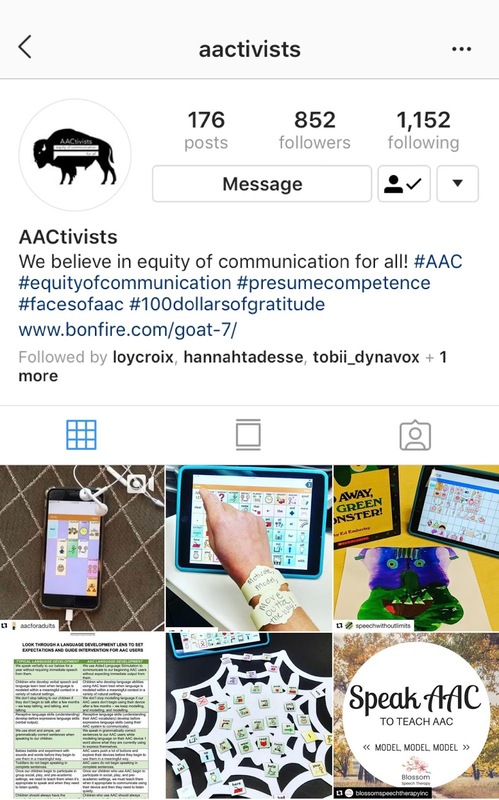 A whole of of folks are making great IG posts celebrating AAC. There are a lot of great resources out there. I’ve posted just a few. Be sure to check out AAC For Adults. It's curated by Mary Katherine Dally M.S., CCC-SLP. She is an Assistive Technology Professional, a mom of girls. 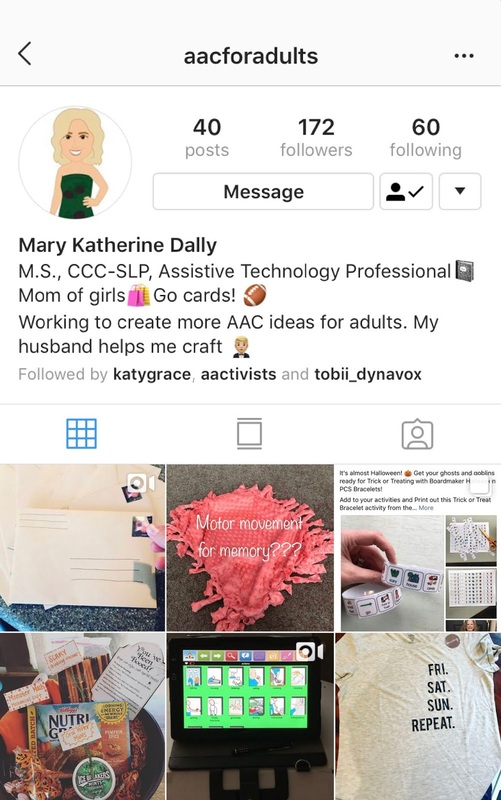 Mary Katherine is working to create more AAC ideas for adults. She writes that her husband helps me craft. Even though I'm a dude, I follow AAC Chicks. 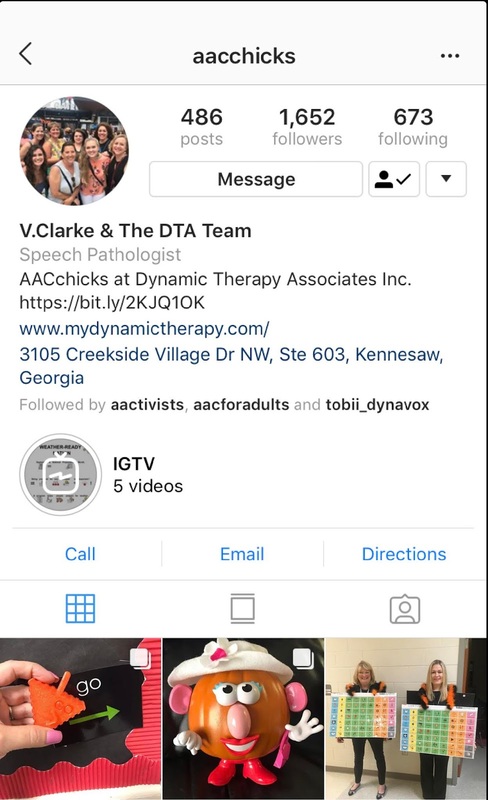 This site is curated by V.Clarke & The DTA Team at Dynamic Therapy Associates Inc.
AAC activists, "We believe in equity of communication for all!" AAC Where It Is At is curated by Amanda M.L. 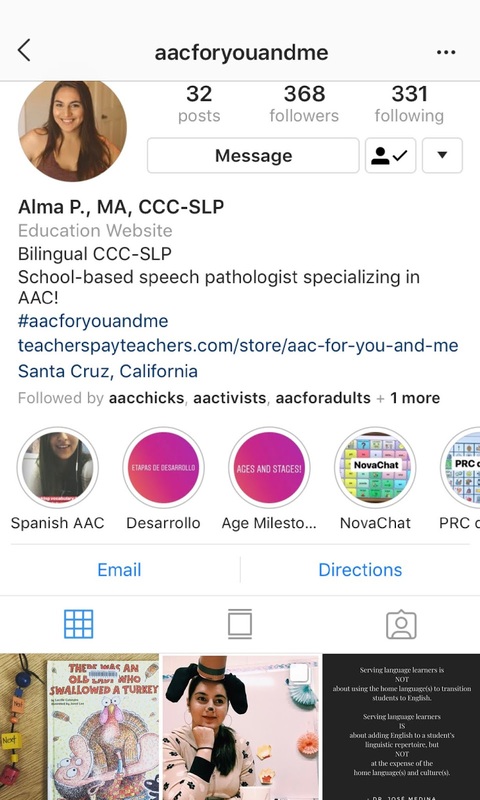 Samperi, M.S., CCC-SLP/L, AAC believer & Assistive Technology nerd. She says, "let's make the world a more accessible place." 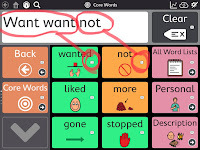 a school-based speech pathologist specializing in AAC. 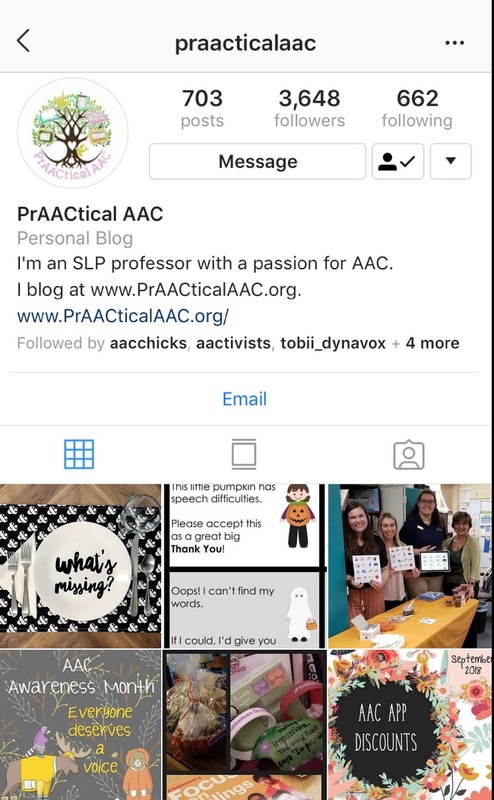 PrAACtical AAC is curated by an SLP professor with a passion for AAC. She blogs at www.PrAACticalAAC.org. Take a look. If you've got one, let me know and I'll feature it! Oh-oh-oh-oh! Here's a new one that I really like... I mean, it's completely irreverent. And great. TaskAnalysis: new independence for your peeps! Hey Tek-Ninjas, I am a graduate of UNC Chapel Hill, and yes, I'm a fan. But every now and then, some really good stuff "might" happen elsewhere. In today's blog post I want to share with you an app I stumbled across called "ClemsonLIFE Task Analysis". Grudgingly I have to acknowledge that it is made by some very smart folks at Clemson U 😁. This flexible app allows you to create scaffolding supports for anything you wish, allowing you to incorporate picture/video cues to support the process of initiating and completing any given task. 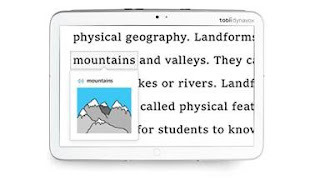 Tasks can be broken down into manageable steps whereby users can access picture, text, and audio support, along with video prompting and video modeling supports all within one app. TaskAnalysis also works on GPS location and will automatically populate tasks based on the user's current location. For example, if your end-user is on a job site, say the local animal shelter, the tasks that come up are the ones made at that site... so you might see tasks such as animal feeding or walking, but not home laundry tasks. There have been a number of apps that have offered similar features, but TaskAnalysis is incredibly robust and flexible. I really like the geolocation function, and really mind-blowingly, it is FREE. It is only available on iOS. This app may allow your end-users a marked increase in the level of independence they experience to completee the tasks that are of importance to them and their care-givers. Hey Tek-Ninjas, back in 2014 I shared a blog article about Tarheel Reader. I was looking at the Tarheel Reader recently, and thought it was time to share the blog article again. The Tar Heel Reader is an online collection of FREE, easy-to-read, and accessible books on a range of topics. Books are written by anyone, including students, parents, teachers, and therapists. Books can be read aloud using one of three different computer voices to choose from, a child's, a woman's, or man's. Or, read by the user. Each book can be accessed using a variety of interfaces including touch screens, Intellikeys, or up to 3 switches. 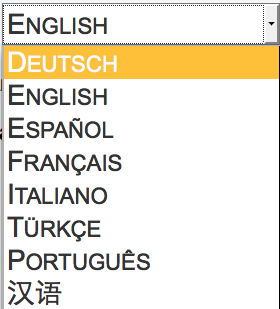 Currently the books are available in several different languages, and the site even challenges users to contact them for help with translations. When writing a book yourself, you must first email the administrator and get a registration code. This was a little frustrating, as I had to hunt around the website to find this information. One thing to be aware of. Tar Heel Reader was originally created to provide appropriate subject matter for older individuals who struggled with reading (i.e. : not having 16 year olds reading Dr. Seuss). as a result there may be some subject matter that is not appropriate for younger children. As with every intervention, adult supervision is necessary. 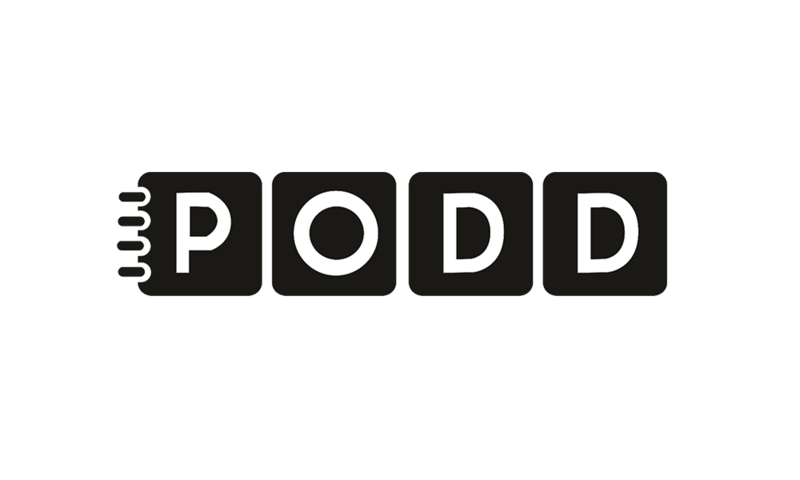 This is a really terrific resource both for readers and writers. Hey Tek Ninjas! Happy Friday. I wanted to tell you about something I heard on the news today which made me happy. Let me preference this by saying I’m no expert on coffee. I know what I like. And, I am even less educated about the lives of hearing impaired individuals, but this story caught my attention, and it made me think. So, to begin, let me say that I love coffee. I’m a big fan of Starbucks. I’ve been drinking Starbucks ever since I lived in Seattle in the late 80s. Just so you know, my preferred drink is a dark roast with a shot of espresso and a splash of heavy cream. Today I learned that Starbucks has opened a new store in Washington DC that is very unique, because of it's employees. The store is staffed by employees who are mostly deaf or hard of hearing, AND who are proficient in American sign language. According to the National Deaf Center, 47% of deaf individuals are not in the labor force. This is a staggeringly low number. Starbucks's endeavor may seem small in the scheme of things but it is a wonderful model for the rest of us. So, if you want to order a drink there, you can write it down on a note pad (a little dorky IMO), or you can get hip to some sign language. Please be advised, I am very far from an ASL communicator. And, if there are ASL communicators who see this, and would be kind enough to help me communicate my preferred beverage noted above, I'd be delighted to receive a video tutorial! Next time you are in Washington DC, go visit the new store, located at 625 H St., NE. If you want to learn a little more click here. Better Data Tracking Helps Us All! For those of you who have been following me for a while, this will come as no surprise but I am here to brag about Snap + Core First again. 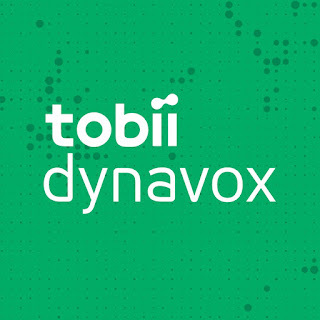 With today’s FREE update Tobii Dyanovox now provides you the ability to track data of your user within the app itself. Let’s walk through a few key features. Let's begin by running your update if you have not yet. Next, open your copy of Snap + Core First (Windows, Mac, or iPad... it all looks the same). Once it's open, tap on the Cog in the top right hand corner. Then tap on User, and then tap on Data Tracking. If you turn on Track Button Usage, you will be provided with a warning informing you that by enabling the button, you give Tobii Dynavox consent to track your data, and if you are logged into you mytobiidynavox.com account, store that data there for you to use. Turning on Show Top Bar Button provides you with a shortcut to manage your data tracking. Turning on Show Button Usage Counts literally keeps a count in your button of the times that button has been selected. If you log into your mytobiidynavox page, you can take a look by the user profile, but the month, by the day, and by the word count. For therapists and parents this is a tremendous tool set which will allow all stake holders to share concrete data about how their communicator is using their system. If you have not run your update, maybe take a moment to do so. Incidentally, with this update, Snap + Core First also has support for Brazilian Portuguese. This quote by Ruben was stunning to me. 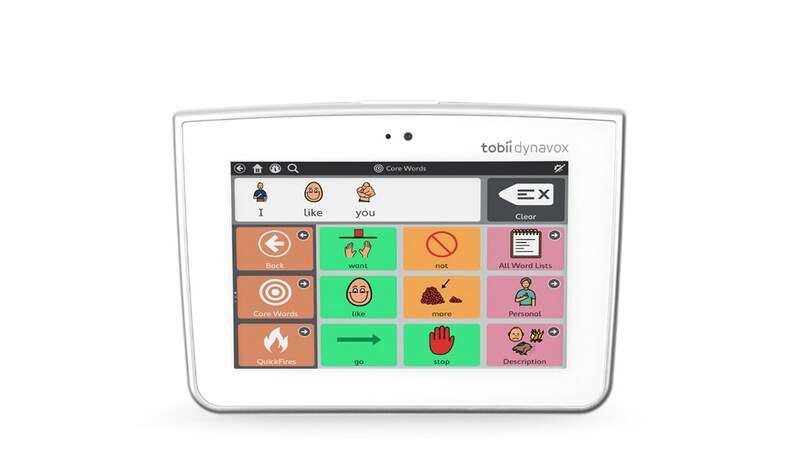 It makes it all the more clear to me, as a Consultant for Tobii-Dynavox, my “competition is not the other companies. 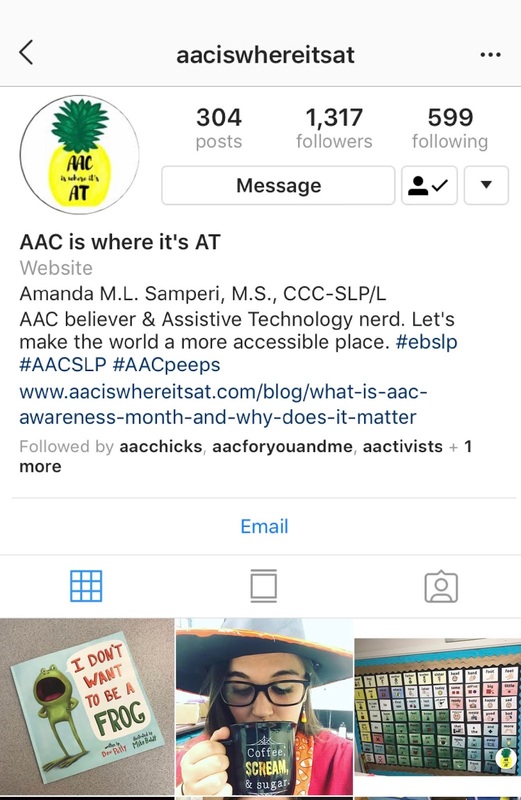 My competition is the lack of awareness of what AAC is. My competition is the lack of awareness of what AAC can do for people, or how to go about acquiring AAC for clients. Finally, my competition is the lingering fallacies people hold such as “AAC might be a crutch and keep my loved one from learning to talk on their own”. I believe that all of us can play a role in “doing better”. Whether you are an occupational therapist (like myself), a physical therapist, educator, or speech therapist I challenge you to find one person, at least one person in your path that would benefit from AAC, and then help them find the path to acquire that solution. First updates. But the most recent update has blown me away. Anyone working with Chinese speakers? Well, now we can help with their AAC needs. Snap+ Core First now comes with Mandarin, with a simplified (not traditional) character set. Remember, if you are a clinician you can work with folks who speak a variety of different languages on one device while you engage with them for therapy. With this in mind, this is a friendly reminder to keep running your updates, Tobii Dynavox is always providing free enhancements for their software! Hey Tek-Ninjas! As you all may know, October 1st marks the beginning of AAC Awareness Month. Many ACC companies have already announced a 50% discount on their software for some duration (typically a week or two). 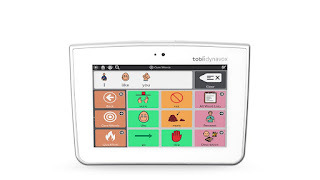 Tobii Dynavox also wants to recognize AAC Awareness Month and so from Oct. 5 through Oct. 31, Snap + Core First on iOS and Windows will be available at $49.99. This is a 72% savings, which represents a substantial value to the consumer. This price is for direct purchases through iTunes, the Microsoft store, and myTobiiDynavox where relevant and need not be applied to funded solutions. flagship software is called Grid 3, and I have to say it is super user friendly! Currently its available for a free fully functioning 60 day trial. You can download it here. 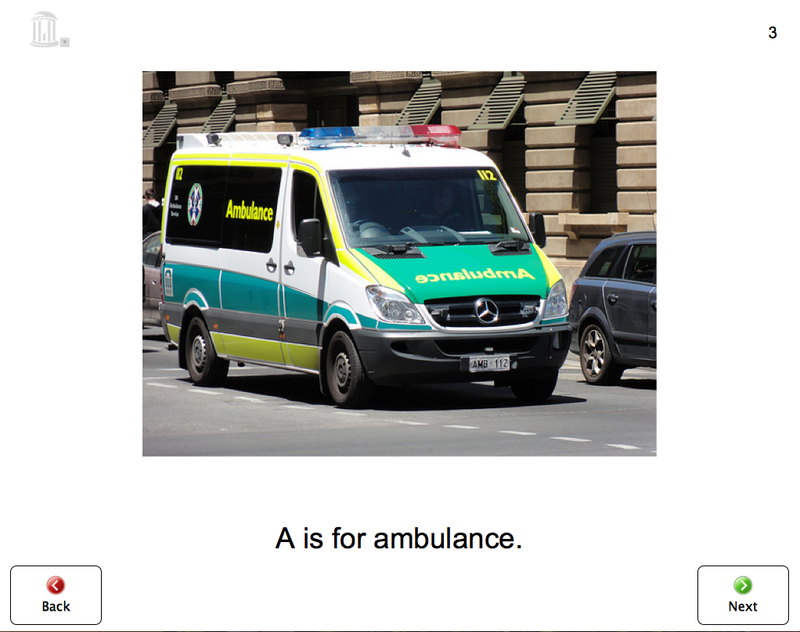 Grid 3 offers communication options for Emergent, Symbol-based, and Literate communicators. Grid 3 supports multiple access modalities including touch, scanning, and eye-gaze. 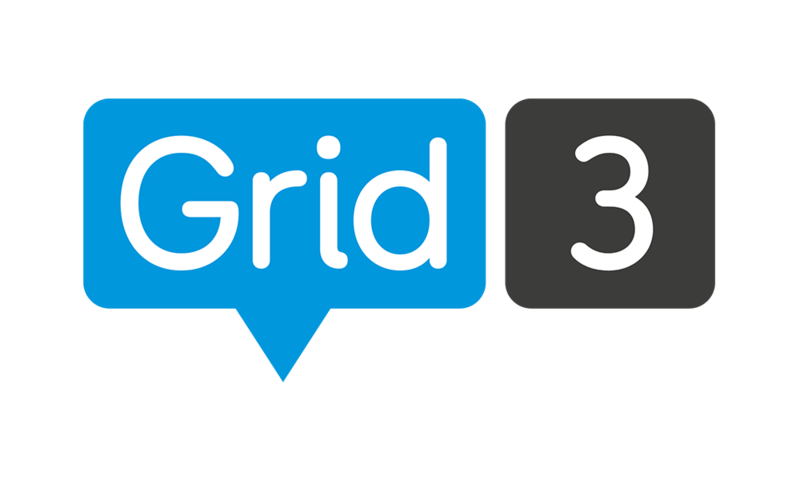 Grid 3 is available for Windows and some iterations on iOS. I'm sure I'll be blogging about Grid 3 more, as Tobii Dynavox irons out more of the details. Hey Tek-Ninjas! 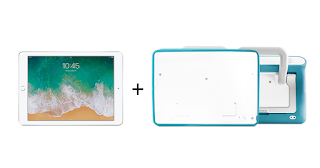 If you are a long time reader, than you know that I have over the years been a big fan of the iPad. Still am. When I want a tank, something extra durable, for a rough and tumble user, who might even be mucking about in or near water, I think i-110. Take a look at the video. Note the kids playing by a sprinkler. There are few other devices where I'd want to try that. The i-110 is built with Gorilla Glass, which is exceedingly durable. It has an IP54 classification which means it is "protected against dust ingress" and "protected against splash water in any direction". 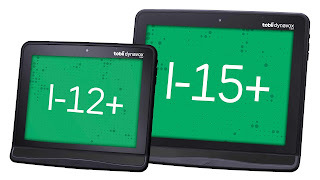 With a 10.1 inch diagonal screen and weighing in at 2.4 lbs, the i-110 is very portable. Self contained speakers, front and back cameras, USB ports, and switch ready. There are no extra cables or parts hanging off the device. 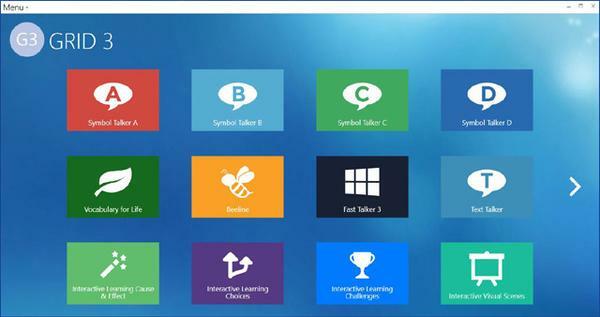 Choose from the various communication software offerings including Communicator 5, Snap+ Core First, Snap Scene, or Compass. The i-110 is always in Beast-mode, and ready for real life and real communication. Why I'm Such a SCF Fanboy! Hey Tek-Ninjas! 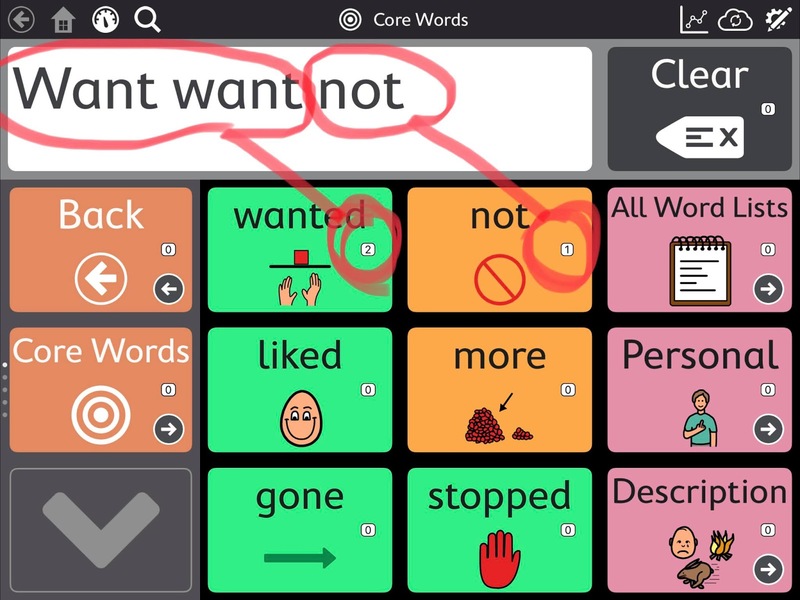 So, what I think of as the finest piece of Augmentative Communication continues to get better. For free. Tobii Dynavox runs updates in Snap + Core First (SCF) almost monthly, making the best better. I've included details about the newest free updates below. I blogged about SCF awhile back, and you can read that here. New styles for buttons that link to other pages include options to display these “link buttons” with Navigation Icons (as in previous versions of Snap) or in a Folder shape. Customers also have the option to display these “link buttons” in exactly the same way as other buttons on the page, i.e., without Navigation Icons or a Folder shape. This continuous push to improve is part of what makes me such a SCF Fanboy!